According to Eddie Van Halen, from which Rolling Stones song did he get the idea for the main riff of "Unchained"? I'm not sure of the correct answer, yet the riff contains the same chords to "Brown Sugar". I always thought the backing vocals to "Hear About It Later" sounded close to "Let's Spend The Night Together", and if you notice, the bass riff in "Push Comes To Shove" sounds an awful lot like a slowed down version of parts of "Miss You". I'll go with "I Can't Get No Satisfaction"
Which two songs on the debut album do not contain background vocals? 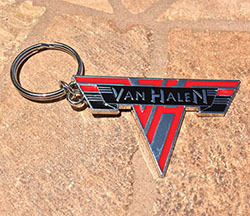 Daily Trivia question at van-halen.com?